Waterbury Hall the third of four Residence Halls built along the Lakeside area of campus, opened in 1960. 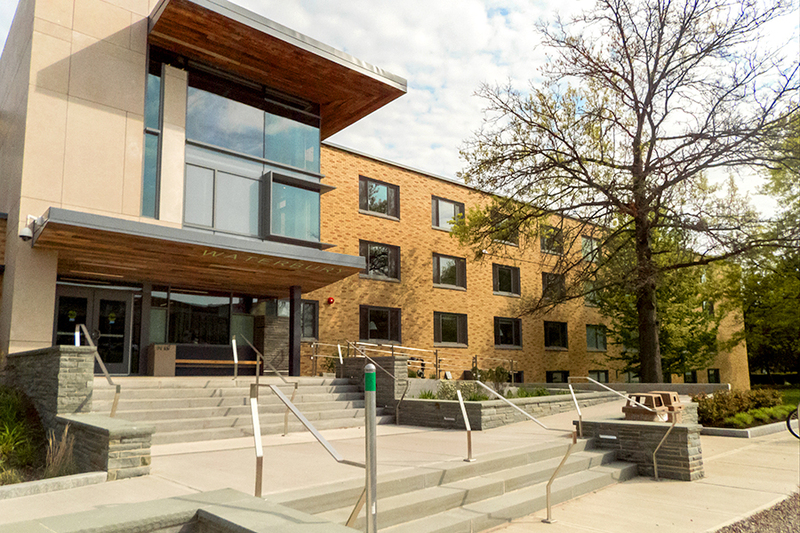 The four-level residence hall is home to approximately 200 students and offers residents lake access, a recreational facility, and a 24-hour study area. The residence hall was the first all-male dorm to open on campus and in its inaugural year, it housed 120 students. Waterbury Hall opened in 1960, seven years after the death of Edwin M. Waterbury, for whom it was named. Waterbury was the editor and publisher of The Oswego Palladium-Times and also served as the chairman of the Board of Visitors.